If you or your loved ones suffer from dry or damaged hair, the Macadamia Professional Hair Therapy Essentials Gift Pack is the essential gift for revitalisation, nourishment and deep rehydration. 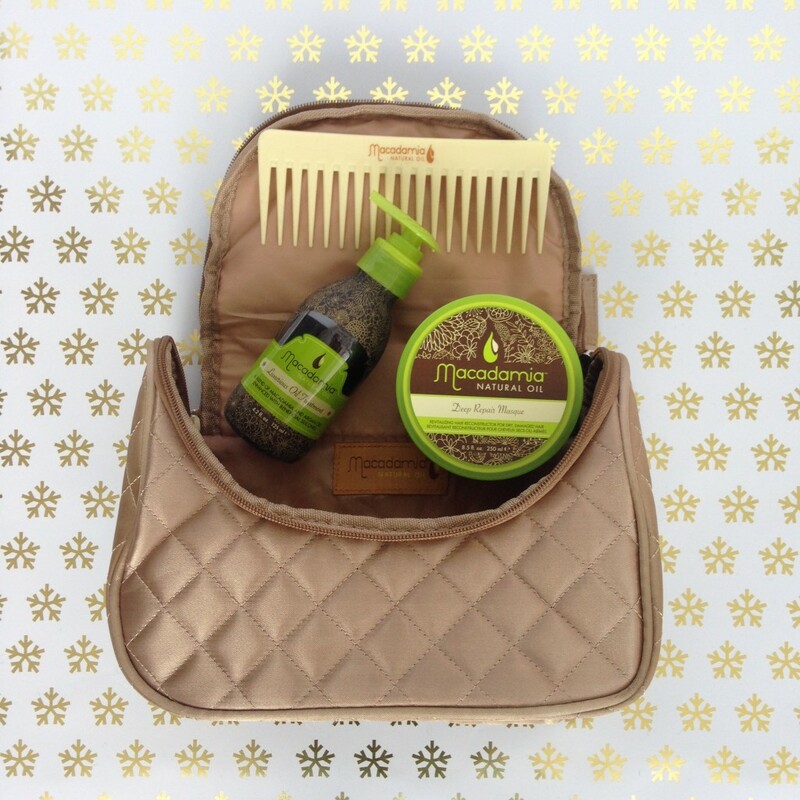 Presented in a beautiful, quilted, gold coloured bag, the Macadamia Professional Hair Therapy Essentials Gift Pack makes a stylish gift. The Macadamia Natural Oil range harnesses the power of highly absorbent Argan oil, moisturising Macadamia oil and beneficial silicones to breathe new life into tired hair. With deep nourishment for improved shine, strength and smoothness, Macadamia Natural Oil is the key to fabulous hair. What is in the Macadamia Professional Hair Therapy Pack? Let your loved ones enjoy a good hair Christmas with the Macadamia Professional Hair Therapy Essentials Gift Pack. Shop the complete hair care range right here at i-glamour. ‘Tis the season to style with Macadamia Natural Oil!